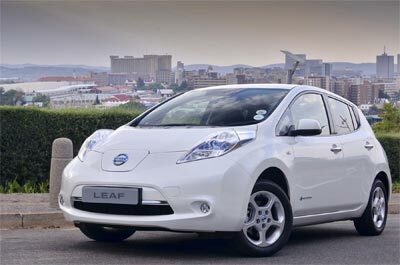 While all-electric vehicles are still only just catching on in South Africa, overseas sales are skyrocketing and recent figures show that the Nissan LEAF is Europes best selling all-electric car for the fourth year in a row. In 2014, 14 658 LEAFs were registered which is an increase of 33% growth year on year. The Nissan LEAF was launched in early 2011 in the European market, followed by a revised version introduced in mid-2013 with over 100 improvements led by customer feedback. The Nissan LEAF is built in Sunderland, UK, with batteries constructed in a new purpose-built facility on the same site. In June 2014 the 100 percent electric Nissan e-NV200 light commercial vehicle was launched, built at Nissan Barcelona factory, with batteries from Sunderland. Interesting Cartie also goes on to explain the power positive of word of mouth marketing in the growth of the LEAFs sales, with 95 percent of customers being happy to recommend their car to a friend and 50 percent saying that they would never go back to a diesel or petrol equivalent. This kind of powerful advocacy, combined with an increasing awareness of the massive running cost savings electric car drivers experience, is why our Nissan LEAF sales continue to grow.